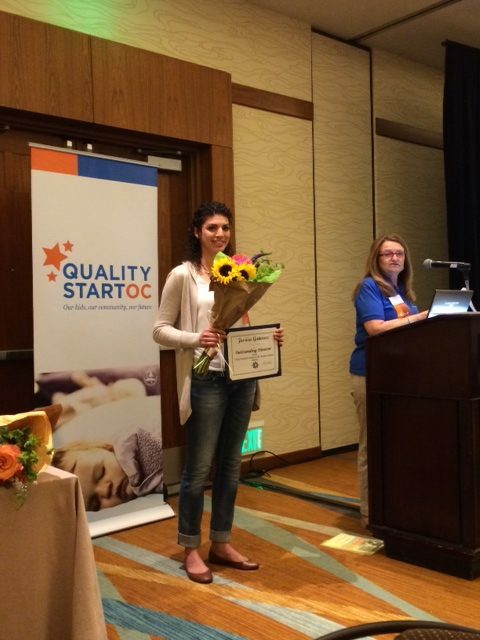 Cristiane, Stephanie(director from our sister school Edgewater Preschool), and Dane went to the OCAEYC (Orange County Association for the Education of Young Children) conference last weekend in Anaheim were our own Jessica received the “2014 Outstanding Director” . Teacher Esther nominated her for her hard work and organizational skills and she was chosen to receive the award. Congratulations to Jessica, we are proud and lucky to have her as part of our team!